A new tourist hub, Wander Compass Beppu, is opening on the 5th of April at JR Beppu Station East Exit.Here our friendly staff will recommend tours and even plan with/for you on your demand.In addition to the tour arrangement service, we provide a transportation ticket service, guide service, and more useful services at your convenience.The staff is all locals in Beppu and knows the popular attractions and local spots you won't have known without visiting here. 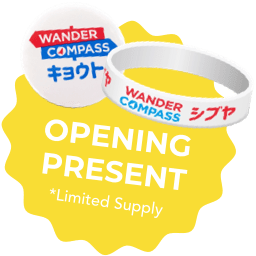 Visit us at Wander Compass Beppu.It just makes your trip better. Wander Compass Beppu is located in the “BIS South Building Ekimachi 1-chome Beppu” facility inside of the JR Beppu Station.It is 1 minute walk from JR Beppu Station East Exit.